« Luke Page from Cannock. Thanks Stuart for everything still sinking in i will definitely recommend you to others. 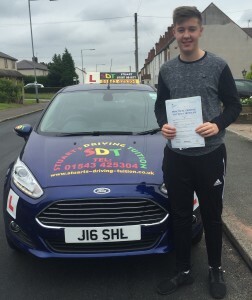 Good morning Stuart, just wanted to say a big thank you for helping Charlie pass his test. He came running in my bedroom screaming I’ve passed I’ve passed. The funny thing was I thought he was in bed. He hadn’t told me he had a test booked.